what they put into their mind and body. 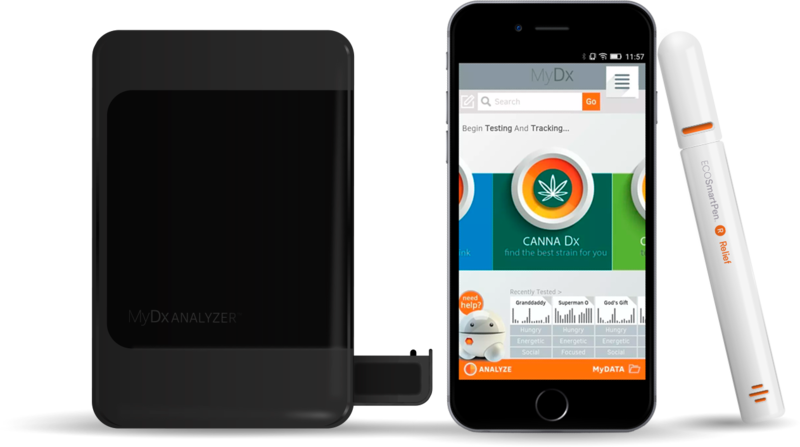 MyDx, Inc. (Ticker:MYDX) is a science and technology company and creator of MyDx® (My Diagnostic), the first multi-use handheld chemical analyzer that will test for pesticides in the food you eat, chemicals in the water you drink, toxins in the air you breathe, and the safety and potency of your cannabis samples. Track the efficacy of the products you consume. Find a strain profile that works for you. Our more immediate mission is to continue to develop smart devices as part of an ecosystem that crowdsources consumer generated preclinical data to drive innovation in the cannabis industry. The cannabis industry’s first hand-held cannabis sensor and analyzer with disposable single use inserts. Develop branded formulations & secure customer feedback. 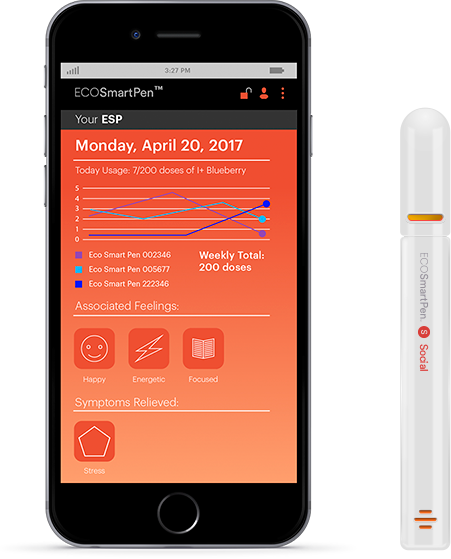 CannaDx tests the chemical profile of Cannabis and will be joined by other smart devices such as the EcoSmartPen and consumables to help patients find a strain profile that works for them. Data Analytics will focus on pre-clinical chemical analyses and our patient feedback ecosystem to provide actionable insights such as trend reports and formulations. Biopharmaceuticals will identify green Active Pharmaceutical Ingredients™ (gAPI™) and corresponding formulations to provide symptom relief alternatives in a clinical setting. The SaaS segment will provide software services for prescribers, patient groups, cultivators, and regulators, including MyDx360, the Smart Label Generator, and the MyDx One App.